With every album and live performance packed to the brim with rock/pop perfection, there are no signs of the band slowing down. You can catch the band on tour through 2017 in support of its soon to be released album Clowns Lounge. A complete list of dates including shows with Tracii Guns and Ace Frehley can be found below. "We had unfinished, unreleased material in the vault, and I went back into the studio in Chicago and started working on all the songs. Guitars, bass, vocals, it all needed to be tweaked, and with help from Chicago Recording Company and Chris Steinmetz of Stonecutter recording studios, we were able to create another rock solid record. It is basically an archival record featuring original band and ENUFF Z'NUFF as it is today. The record showcases the best elements of ENUFF Z'NUFF in the early days; in your face glitter rock with pop overtones. 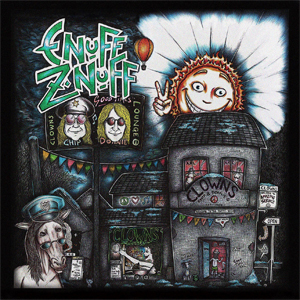 This is a true must have rock record for the diehard ENUFF Z'NUFF fans worldwide."